May happiness be yours always ! Hi Gianluca. I want to wish you the happiest of birthdays. You deserve all the best. I hope you are able to celebrate your birthday with loved ones and also know that your fans are thinking of you and sending you wishes of love and affection. I wish you many, many more years of singing, sharing and making the world a happier place with your music and gorgeous voice. See you next year in San Francisco???? I wish you a very Happy Birthday and I know you have another exciting year ahead! You sang for Pope Francis and thousands of young people in Panama for WYD. 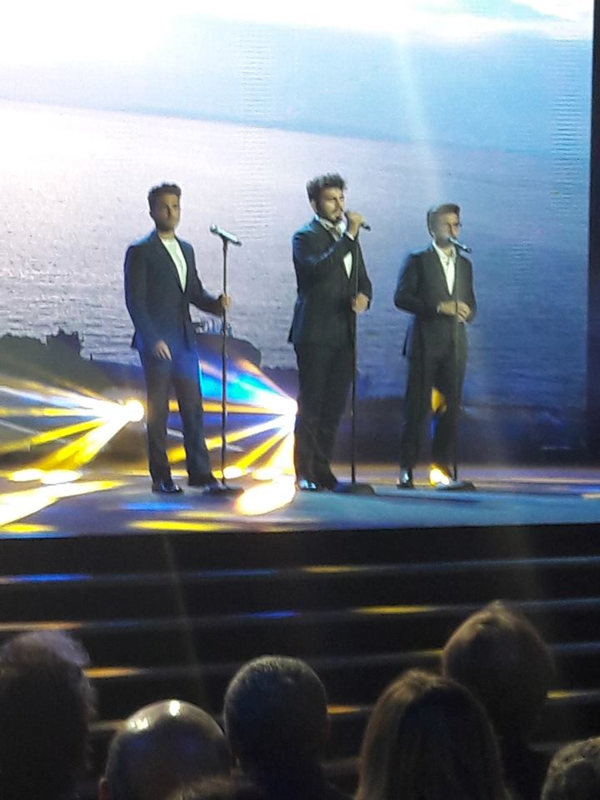 There’s Sanremo, a new album and the celebration of your amazing ten years together with Piero and Ignazio. What a blessing it has been for so many people who love you and your beautiful music! I am looking forward to seeing you when you tour in the USA. God bless you and all your loved ones. Hope you have happiness in your life and good health. We love you and have been going to your concerts since 2009 in Toronto. You are a wonderful person and your voice brings joy to the world! Ti auguro tanto successo e felicità! Dear Gianluca: Another year gone by and you continue your flight into the hearts of the people of the world. You flew into my heart almost eight years ago and changed my life forever. My very best wishes to you for a Happy Birthday as well as my fond affection for your Mom, Eleanora and all your loving family, who mold you and shape you to make you what you are. Thanks be to God for your voice and thanks to you for giving that voice to us. You are such a tender hearted and sweet spirited man. I have observed how you loving caress a cheek and kiss young children, how you take the time to greet and appreciate your fans, and how you fondly interact with your IL VOLO brothers. My wish, prayer, and birthday blessing for you is that your heart and soul are continuously filled by the outpouring of love and affection from your fans, friends, and family so that you remain a fountain of LOVE flowing with your special sweetness of character out into the world. May you remain energized and devoted to IL VOLO. I wish you continued success, prosperity, health, happiness, and that you find your own Grande Amore with a special woman. Thank you for sharing your special gifts with us— your devoted fans. 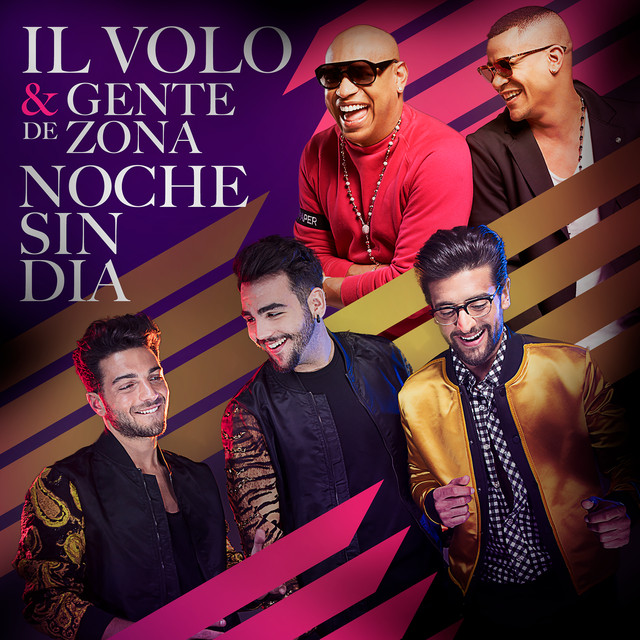 I will be praying for you and your IL VOLO brothers as I walk the 900k Camino de Santiago pilgrimage in Northern Spain (March 24-May11). dal profondo del cuore ti auguro un compleanno pieno di cose belle. caparbia quanto basta , o forse un poco di più. I tuoi occhi esprimono sincerità e dolcezza. from the bottom of my heart I wish you a birthday full of beautiful things. stubborn enough, or maybe a little more. Your eyes express sincerity and sweetness. Happy Birthday Gianluca! You are an extraordinary young man with a heavenly voice. We have watched you grow from a young boy to young man. What joy that has brought us. We wish you many more years of song and joy! Birthdays are always such fun and may this birthday bring loads of happiness and blessings that are so richly deserved. Happy Birthday hope you have a wonderful day. Cannot believe you are 24 already – have been following you from the beginning of your wonderful career. Hope you get a wonderful gift by winning Sanremo. I remember the first time I saw you were just a boy who has turned into a wonderful young man with a fantastic voice. You have given me so much joy to have followed you these last 10 years. Enjoy your day. Happy birthday Gian. I have from the start looked into those gorgeous green eyes and melted. Winning Sanremo would be a wonderful gift. My birthday is coming up also and I will be 90. Your voice will be in my mind at the celebration. Happy Birthday to the best hugger in the world. Hugs and kisses back to you GG. Many thanks ladies for all your communications about our adored men. Happy Happy birthday Gianluca. I know you and your brothers will win that beautiful trophy in San Remo again. Ok,Pirate here with piratey thoughts….Aye, aye to you, matey! I am wishing you a joyous 24th birthday with all your desires fulfilled and a blessed, amazing year. May you find as much joy and fulfillment in this day and year of life as I, and all your fans, do in listening to you and being present with the heart of you and your music. Gianluca, the Universe is listening, and Sanremo is one segment of that sweet amazing Universe-of-Love. Happy Birthday to the world’s best baritone! May you have many, many more. Can’t wait to see your smile and hear your voice in person! Happy Birthday Gianluca!. Wishing you a wonderful year ahead, where all the things that you yearn for, always be within your reach. You, your music, your voice, has given me so much joy and I always look forward to all your “surprises”!!! A big hug and many thanks. God Bless you. From Ineke in South Africa. I remember the first time you and I met which was in Chicago. We actually met a year before in Atlantic City but just to shake hands. But in Chicago in 2012 we had a fair amount of time to talk. Evidently, I had caused a little fuss that you all were all aware of and there was an interest in talking. All three of you were so kind and considerate but I remember that your hug was the long one. That touched me and after that when we would meet again – especially later at the first Il Volo Fan Faire in Las Vegas – you were even more generous with your kindness. You are close to my son in age and with both of you I cannot believe that you are that old – already ! ! !. You probably feel it has taken forever. I do wish that I could be there with you and do another of those wonderful hugs as I wish you a very HAPPY BIRTHDAY. Wishing you a year filled with amazing adventures and happiness. You touch our lives every day with your beautiful smile, zest for life, and gorgeous voice. Thank you for sharing this gift with all of your fans. Looking forward to meeting you soon. Happy Birthday dear Gianluca. Celebrate your special day! …I wish you a very Happy Birthday from America, and I hope your life is full of family, friends and love. I’ve admired your talent and your passion, and I’ve admired the beautiful man you are. I am Forever Follower and I’m so proud of you. Many blessings from my heart to yours!! Happy Birthday My Blue Velvet Prince. Hope it’ll be one of the best years of your life. Be safe, stay healthy, and remember to relax your velvety smooth voice every chance you get. Che tutti i tuoi desideri si possano avverare. A very Happy Birthday Gianluca, what a fantastic voice you have, Your velvet sound always leads the way with that magnificent sound that has made Il Volo is world famous for. The great harmonies you guys bring to the stage is uplifting and entertaining are many levels. God Bless You and your Brothers on your Happy 10th anniversary. Waiting for the new CD and your return to Brooklyn USA. A very happy 24 birthday Gianlu! I wish you all the greatness and love God can give. You and your two stage brothers are so blessed with talent and kindness. May your life always be filled with love and generosity. And yes, I agree with others who would like to see you sing more Sinatra songs in English. What an amazing voice you have! I hope you have an amazing year ahead as you celebrate 24! Happy February 11th, Gianluca. Glad you came to Earth, sweet soul. Happy Birthday Gianluca. It has been a joy watching you grow up into the amazing young and super talented person you have become. I first saw you when you did your first PBS special and perform in Philadelphia. I have been a huge fan since then. May all your dreams continue to come true and may your life always be filled with sunshine and rainbows. Much love. I want to wish you the best of Birthdays on 2/11/19. God blessed the world when you were born. Happy Birthday Gianluca. May you and your family have good health and may all your dreams come true. You are a very nice young man. I met you in Tampa. Keep singing all those wonderful songs. I hope to get to see you again. Happy Birthday to our sweet Gian from one of your many Grandmas! Love love your music and listen every day and night! Keep making us happy! Happy Birthday Gianluca, Celebrate this wonderful day with all your family and friends and may all your wishes come true. The pleasure of your voice circles the world and for that we are forever grateful.,. Happy Happy 24th Birthday Gianluca! With the birthday wishes come love and prayers from another mother! Wishing Gianluca a very Happy 24th birthday from Woodstock, Ontario from a very devoted older fan who wishes she were in her 20s again. You have not only the exceptional talent, very handsome looks, nice build, beautiful smile, but most important you have a good heart and your fans all love you. It’s the heart that makes the man!!!!! HAPPY BIRTHDAY GIANLUCA TO ONE OF THE HANDSOME IL VOLO SINGERS HOPE YOUR BIRTHDAY IS ONE OF THE BEST BIRTHDAYS YOU HAVE EVER HAD. CANADA & I ARE LONGING TO SEE YOU HERE. We “can’t help falling in love with you,” “night and day.” You “bring us to our senses” each day; “it’s a beautiful day!” “When we kiss (in our dreams) our hearts are on fire, “we” “surrender to you…! “Per te ci saro!” – siempre! You are our “grande amore.” After each concert and meet and greet, it is “musica che resta!” Tanti auguri, Gianlu! The Detroit Il Volo Gals: Jana, Ginny, Lorna (rock star), Donna, Sharon, Chris, Magdalena, Barb T, Barb D, Betty, Jeannette. It’s Birthday Time Again! Gianlu! Last call for birthday wishes for Gian. They will all need some cheering up after Sanremo! We made it through record cold temps in the midwest. Forecast of near 50 for Sunday and Monday! Yes, it’s birthday time again for our youngest, curly-haired, member! Anyway, this year will be special again for Gian, as Sanremo will have just happened. Let’s hope he has more to celebrate than just his birthday this year. Once again folks, send your birthday greetings to Kelly, our phenomenal video/graphic artist on the crew and she’ll start her gathering of favorite photos! Once again, I’m sure Kelly would like ideas for a theme song for the video. Of course, Gian is her favorite, so she might just have something already in mind, but I know she loves all of your ideas! Just about 1 week to go and counting!! Keep the wishes coming! Two weeks to go!! Keep the wishes coming!